Americans just love them. And for good reason. Just the other day a major discussion broke out in my office on the subject of the many virtues of the Turkey Sandwich. The participants, myself included, were impassioned. The conversation got me thinking. Sandwiches really are pretty wonderful. So wonderful, in fact, that I should dedicate my next blog post to them. As luck would have it, I own a cookbook dedicated totally to sandwiches. It happens also to be penned by the man that among many other culinary achievements, has elevated sandwich-making to an art: Tom Colicchio. Sure, Tom's a celebrity chef, but a legit one. His original restaurant, Craft, remains one of our favorite places to go for a fancy occasion. 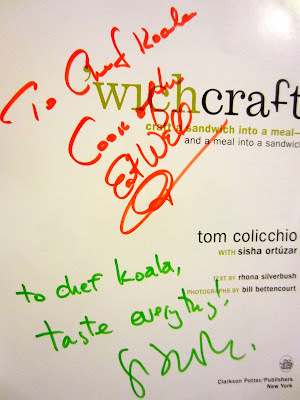 Watching Top Chef was and still is a ritual in our house, so several years ago when I heard that Tom would be signing his new sandwich cookbook, 'wichcraft, at our local Williams Sonoma, I got ready to stand in line for the perfect gift for the future Mr.NK. 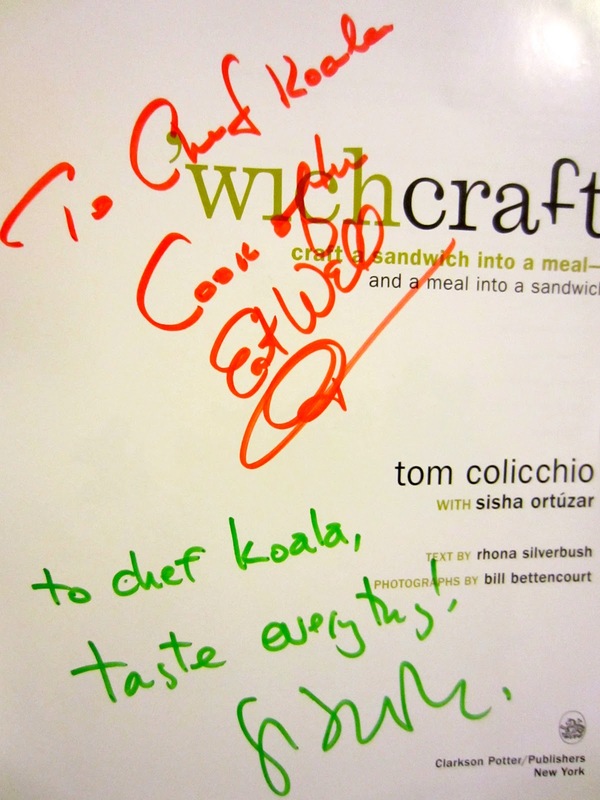 'wichcraft is a book worth owning if you're serious about sandwiches and want to invest a bit of time in them. The recipes can be intense, even a little complicated, but if you're looking for a standout meal-worthy sandwich or just to jazz up an everyday American classic like the PB&J, it's really worth a look. The photos alone are inspiring, and as with many cookbooks that I love, it serves as a great jumping off point for many adaptations. The recipes can also be naturally simplified using store-bought components. The book signing was quite a funny scene. As you can see, I requested that Mr. Colicchio and his collaborator, Sisha Ortuzar, autograph the book using a certain someone's pet name. Chef Who?, Tom asked with furrowed brow, looking on the verge of mild annoyance. KO-A-LA, I clarified. Thankfully, Both men very graciously obliged, despite my ridiculousness. Autographs - check! 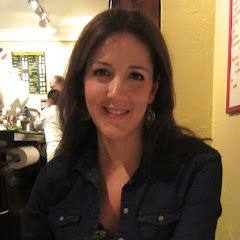 Shame myself in front of lovably ornery celebrity chef - double check! Today, we'll be ever-so-slightly adapting Tom's wonderful recipe for Skirt Steak with Fried Egg, Oyster Mushrooms, and Parsley Vinaigrette, as featured in the 'wichcraft cookbook. Splurge on a quality steak for this one. We're using Ribeye because, well, it's my fave. One good sized cut of meat will go a long way here. And as always, all foods are better with a runny egg on top of them. Combine ingredients in a bowl until fully incorporated. Parsley vinaigrette can be made ahead and will keep in the fridge for about four days. 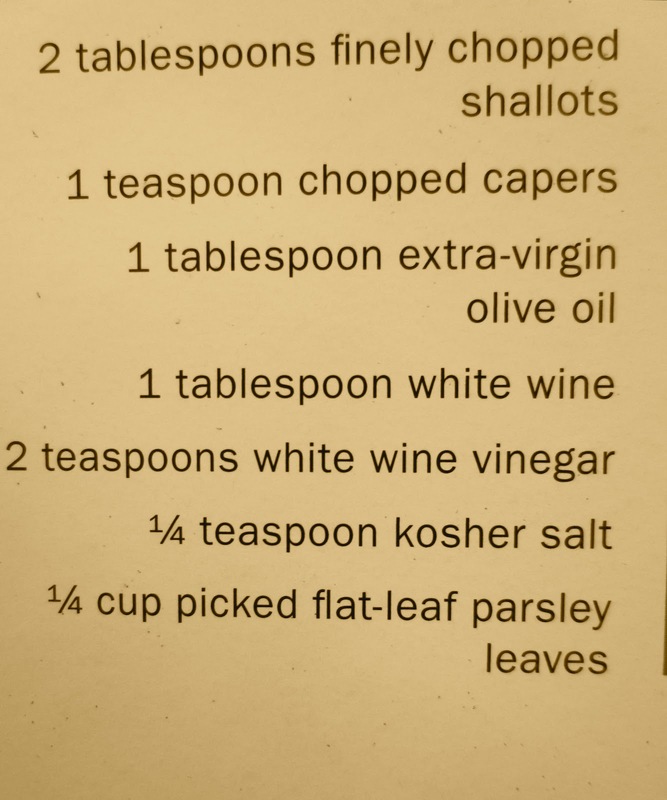 Set your Parsley Vinaigrette aside. Add Oil and Garlic to your skillet and heat over medium flame. When garlic becomes aromatic, add the Mixed Mushrooms and cook about five minutes until tender and browned. Remove Mushrooms from the heat and place in a large bowl. 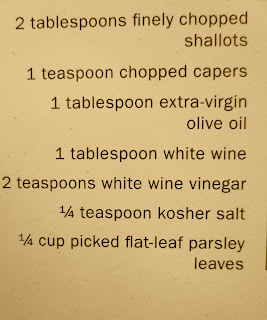 Pour in the Parsley Vinaigrette and stir together to incorporate. Set aside. Season the meat on both sides using Kosher Salt and Pepper. Heat a grill pan to Medium High and add the meat. Cook 3-4 minutes on each side to bring it to a perfect medium rare. Remove Steak from the grill and set over the bowl with the Mushroom and Parsley Mixture. Tom is ingenious, by the way. We do this so that the Steak juices combine with the Mushroom and Vinaigrette. Cover Steak and bowl with foil to keep warm. Using a large skillet over medium-high heat, melt 2 Tablespoons of Unsalted Butter. Once butter is hot, add your eggs, one for every sandwich you are making. Flip eggs carefully half way through the cooking to seal the top a bit. You want the yolks to be runny in the middle yet set around the edges. Season with Salt and Pepper and remove to a plate. Take your Steak and thinly slice the meat against the grain. Cut the Ciabatta rolls in half and scoop a bit of the bread from the top half. Lay slices of meat across the bottom half of the bread. Top with Mushroom and Parsley Vinaigrette Mixture. Finish with an Egg on top of it all. Close the sandwiches and slice in half. Here it is, ready to go. I must say, the result was incredibly delicious. The grass-fed Ribeye was amazingly tender, the Ciabatta, soft but sturdy, and the parsley and mushroom mixture added just the right amount of mild, fresh flavor with a hint of vinegar to cut the richness. Try it, and enjoy this and all your dinner sandwich adventures.